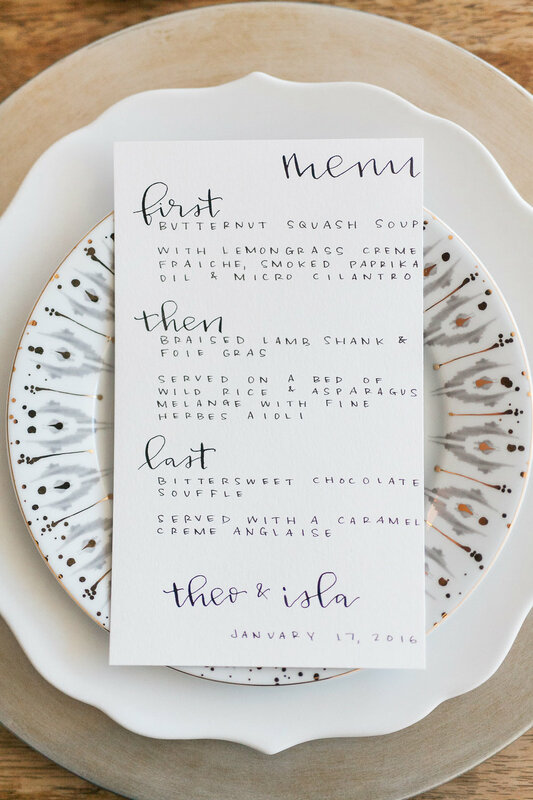 When planning a wedding with your partner, it's easy to get wrapped up in the details and let the true meaning of the day get lost in all of the plans you are making for your guests. Our purpose for this shoot was to demonstrate that, contrary to popular belief and practice, you are absolutely allowed to plan a day that is simple, straightforward, and focused on the two of you and your love for each other, rather than what your guests prefer. Once you have decided that, the rest of the details fall into place beautifully, and your day winds up being a carefree and meaningful celebration of your love and a beautiful marriage to come. 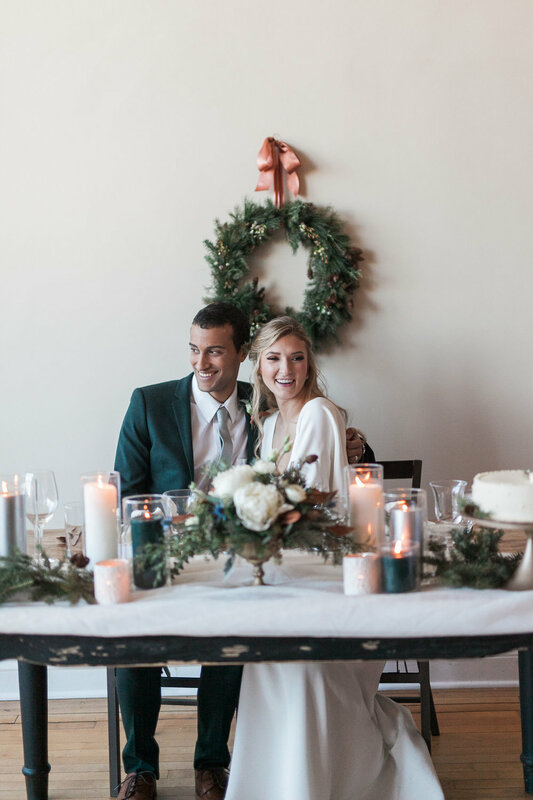 Our inspirational couple, Theo and Isla, wanted just that: to get married in an intimate ceremony on a winter day, surrounded by their closest friends and family. 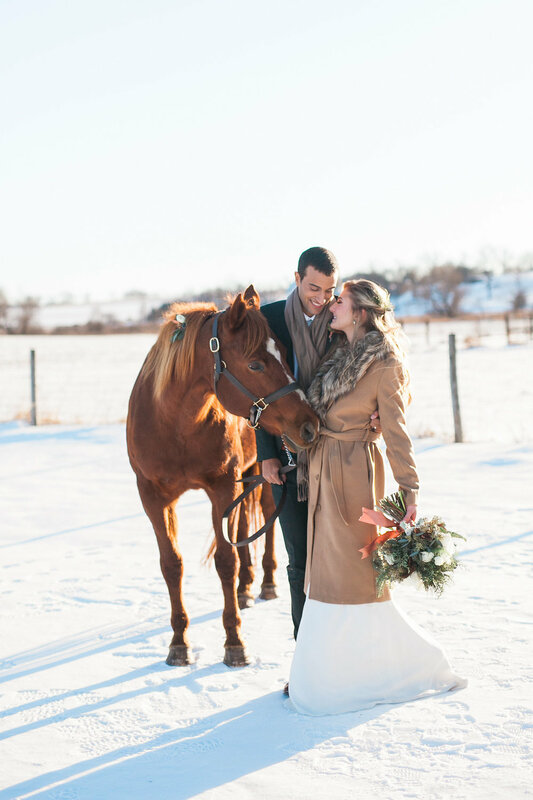 Wintertime in the Midwest seems to be an undesirable time of year to get married, but if planned correctly, a winter wedding can be a breathtaking and cozy endeavor - not to mention, drop dead gorgeous!! 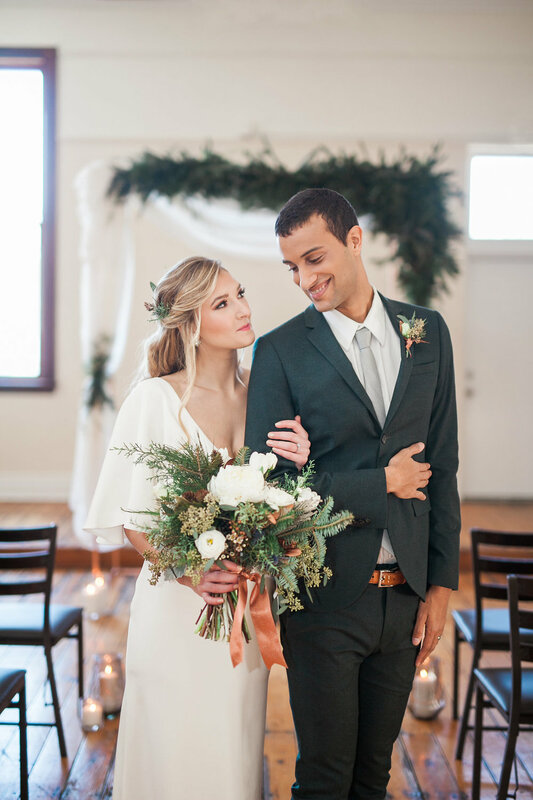 In this shoot, our couples' vows took place under a simple copper and evergreen-laden arbor in a cozy upstairs room of a Romanesque revival style building. 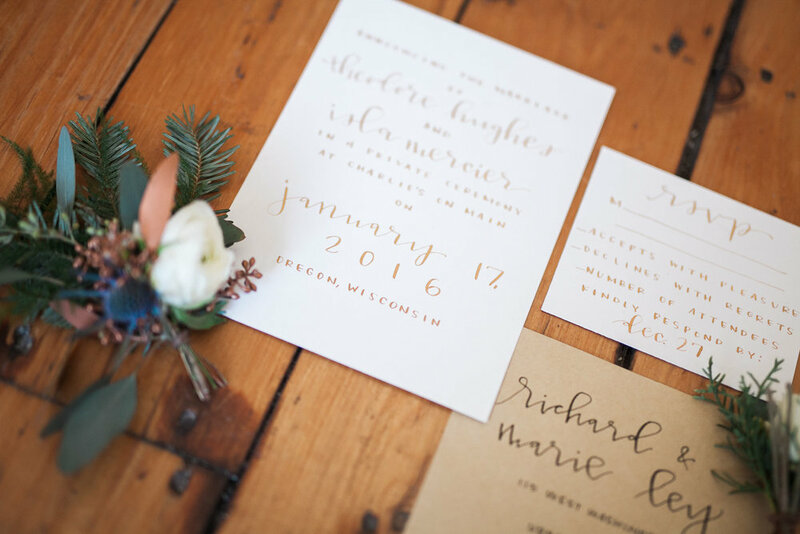 Surrounded by white fabric to mimic the winter snow and flanked by pillar candles and a fur rug, the two were wed in a private and cozy setting. 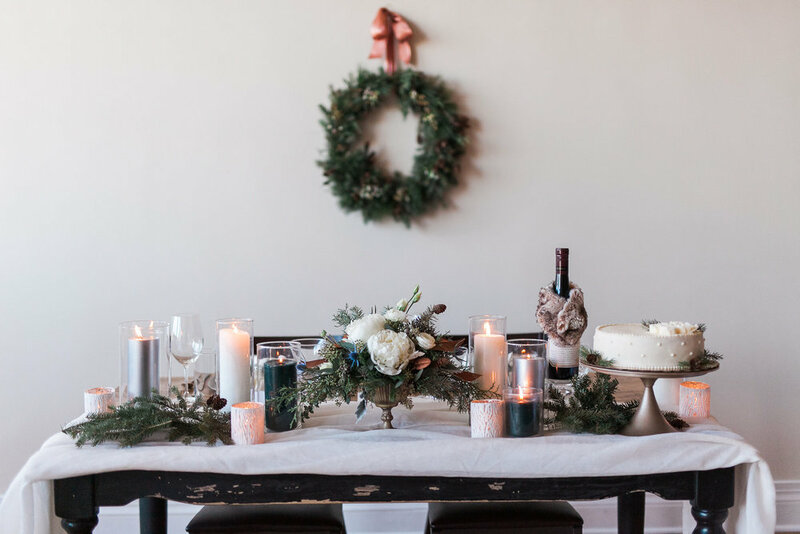 Following the ceremony, we set up an intimate dinner downstairs at a wintry table for two, complete with an elegant compote of winter florals, swags of evergreen, and classically chic place settings with shades of muted gold and copper, crisp white and snowy silver. A simple ivory cake with rosettes, layered meringue trifles and hot apple cider were served as a nod to keeping warm in the bitter cold of winter. 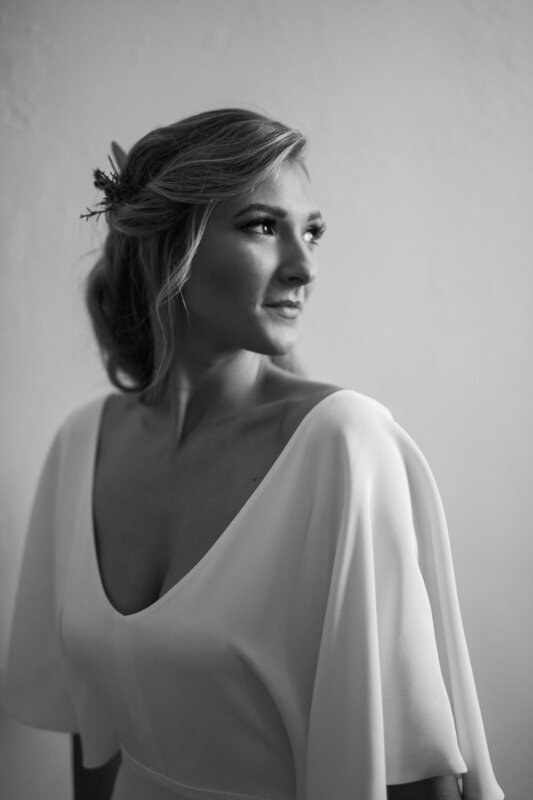 The bride, Isla, wore a classic silhouetted Sarah Seven gown, complete with a stunning open back and flutter sleeves. 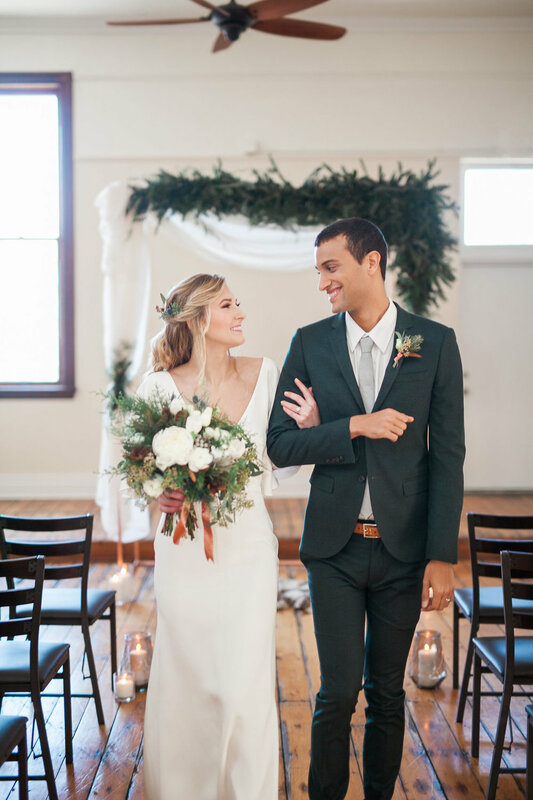 Our groom, Theo, wore a hunter green skinny-fit suit from Topman. 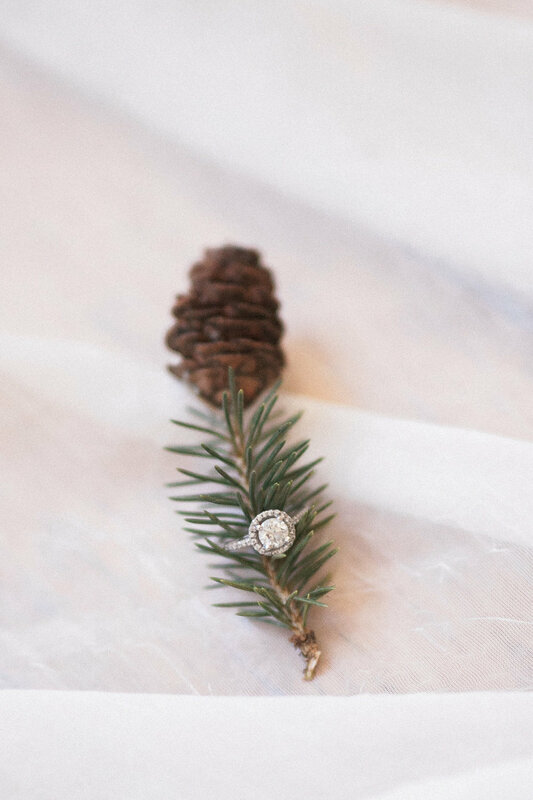 For the bride's bouquet and the groom's boutonniere, we chose to highlight the natural beauty of Wisconsin's common foliage, evergreen, as our base, and added blue thistle, white peonies, seeded eucalyptus and ferns for wintry visual interest. 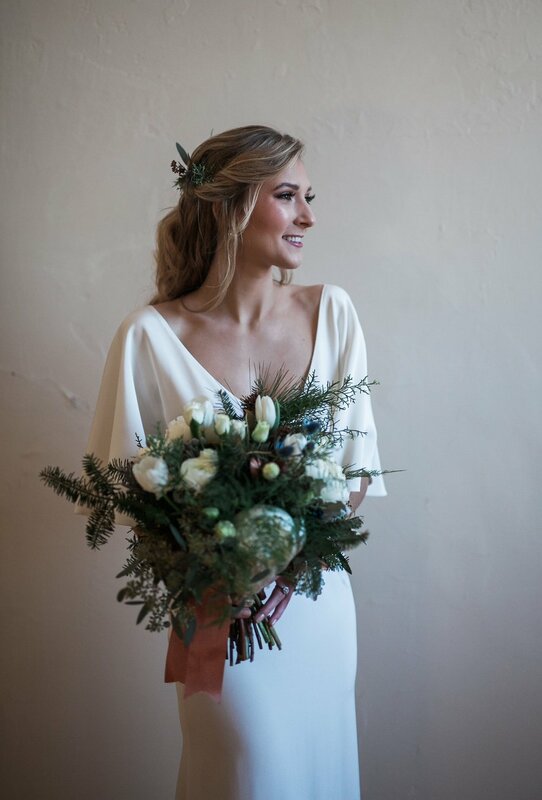 The bride wore her hair in a relaxed half updo with loose curls, and added touches of our winter foliage as a romantic crown to finish off her look. 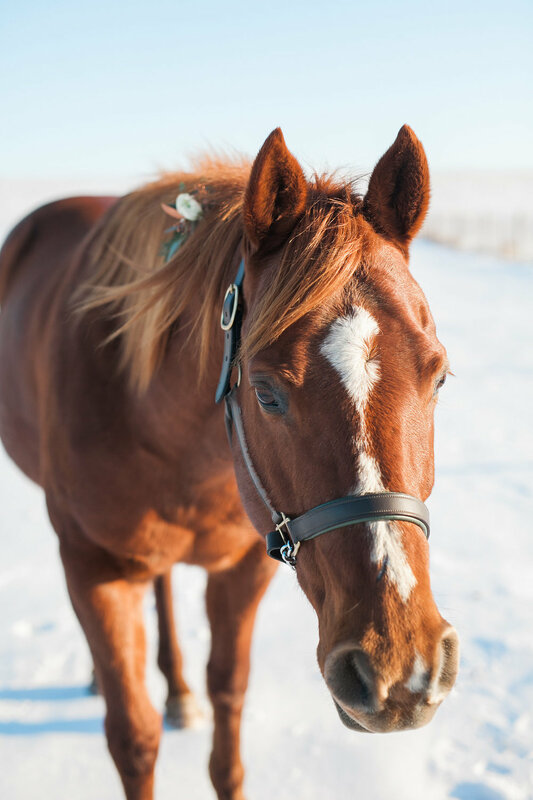 Following the intimate ceremony and dinner, the couple braved the cold Wisconsin snow to visit their handsome companion, Kodiak, before heading back to their cozy venue to dance the night away.